Collaborate in a 48-hour hackathon with 150+ people from all over Europe. Tackle challenges in Crime, Health, International Trade & Education. Meet new people, have fun and broaden your set of skills. Last, and most certainly not least: the first prize is €12,5k (with in total a prizes of €60k). 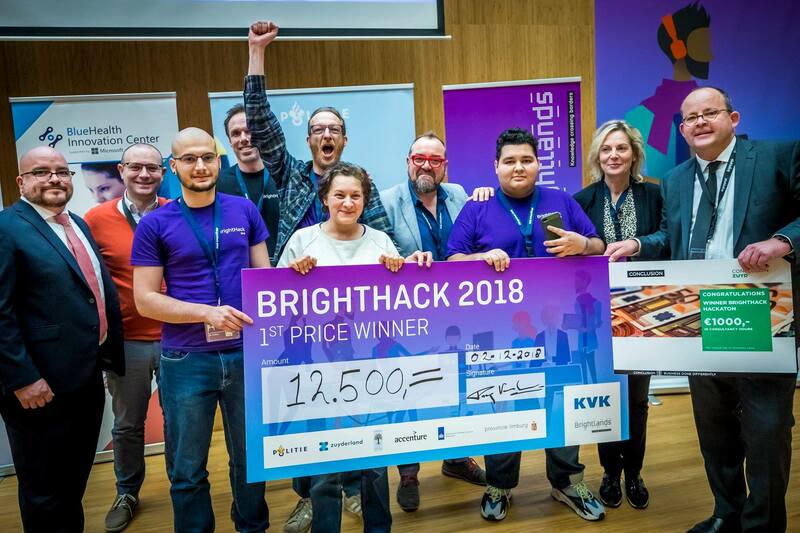 The Dutch Chamber of Commerce (KVK) and Brightlands Smart Services Campus joined forces to organize the most amazing hackathon experience: Brighthack. From 30th of November until the 2nd of December, Teams of up to 5 people will solve defiant challenges regarding Crime, Health, International Trade and Education. You’ll get access to real datasets of, among others, the Dutch Police, Accenture and CBS (Centraal Bureau Statistiek) to compete and to come up with the most creative solution. Inspiring mentors will guide you and your team in every part of the creation process. You can take a break from working by joining one of the various leisure activities which are, by the way, a great way to meet new people and have a good time! Of course, the winners won’t go home empty handed – the four best solutions win a price of no less than € 12.500.